Democracy is good. Binding referenda, not so much. 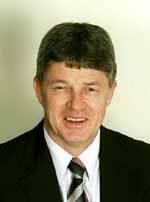 Larry Baldock, the leader of New Zealand’s Kiwi Party, was the main organizer of the recent referendum on the anti-smacking law (the amendment to section 59 of the crimes act that, to cut a long story short, makes it a criminal offence to use any force in correcting one’s children). Kudos to him for that. However, now that the Prime Minister has – in whatever nice sounding language he likes – revealed that he is not going to act on the outcome of that referendum, Mr Baldock has announced that he is going to begin collecting signatures to have another referendum. Kiwi Party leader and organiser of the Anti-smacking referendum announced today that he had contacted the Clerk of the House of Representatives concerning approval to lodge an application as a proposer of a new Citizens Initiated Referendum. “The final form of the question will obviously be the subject of public submissions as part of the process the Clerk is required to follow under the CIR Act 1993,” said Mr Baldock, but the wording of the question would focus on the issue of whether Citizens initiated referenda seeking the repeal or amendment of any law passed by parliament should be binding. In short, because the government is not acting on the will of the people in this referendum, the Kiwi Party wants to see all citizens’ initiated referenda become binding on the government. The government, under those circumstances, is bound by law to do what the people have asked for, whatever it may be. No. A thousand times, no! I can understand Mr Baldock wanting the government to act on the results of the referendum on smacking. I do as well. The anti-smacking law was unpopular because it legally restricts parents from doing something that is not wrong and which is normal and not harmful, the law makes no distinction between reasonable and unreasonable force (read: between discipline and abuse), and the current law is not as clear as it needs to be to actually tell parents what is allowed and what is not. In short, I think the government should act on the referendum outcome because I think it is a right outcome that the government should have the humility to admit. However, to react to the government’s failure to act by saying that the government must always be bound by the will of the people in a referenda is just flat out terrifying. Let’s turn the tables. Let’s imagine that the old, sensible version of section 59 of the crimes act was still in place. If only! Now let’s imagine that Sue Bradford had managed to dupe enough people into supporting an amendment banning smacking that a referendum was held and the majority of New Zealanders supported her law change (she wishes!). Would Mr Baldock want that wish to be binding on Parliament? Or imagine living in Germany, where homeschooling families are treated like criminals, parents are imprisoned and children removed from the household. If the majority in a referendum supported the amendment of existing education law, cementing the right of authorities to immediately and permanently remove children from families suspected of homeschooling, should the state be bound to obey? Here’s the problem: The fact that New Zealand has no written constitution (actually it has a constitution, made up of various pieces of legislation, but I won’t bother explaining all that just now), is what makes this proposal so worrisome. If we did have a constitution of the kind Mr Baldock refers to, one that placed limits on what the government can and cannot do, I could live with it a little more easily (provided the constitution was a just one). That way, if the people wanted something (e.g. an amendment) that was unconstitutional, the referendum result could simply be struck down. But this proposal, this terrible proposal, would give my fellow citizen seemingly unlimited power over me, my education choices for my children, my church, my income, my employment conditions, and everything else that is mine! Previous Previous post: I believe because it is absurd – Was Tertullian a fideist? Our constitutional law is stronger than Larry thinks it is but the real problem, the thing I wish he would place his energy into pursuing and promoting is the second chamber – that is a far better solution to the problem than a form of direct democracy. Binding Referendums will never happen. You can see where it would lead if the Government of the day were bound to act in accordance with the referendum results. It’s a no-brainer there Glenn. I quite agree, Paul (no surprise there). I’m surprised by this reaction to binding referendum. Your objections are based on an assumption that we would end up with all sorts of weird laws. In fact, Switzerland has a system of binding referendum and the sort of crazy scenarios you envisage simply does not happen. What is more disturbing is that at a deeper level you seem to have a low view of New Zealander’s collective common sense. I don’t. Talking to average New Zealander every day convinces me they actually have their heads screwed on. At the moment our governing elite are showing a disturbing incipient fascism. I’d be more concerned about that than any imagined abuses of binding referenda. A good move would be to combine binding referenda on a lower house with the re-introduction of an upper house on which referenda were not binding. All I know is we need to get past the form of arbitrary government we have now. Read Goldberg’s book Liberal Fascism. Not at all. This would be a consequentialist argument. I have not assumed that given the chance via a binding referendum, New Zealanders would bring terrible laws into effect. It’s not a consequentialist argument at all. It’s a principled argument. My argument is that the endorsement of binding referenda amounts to the claim that if people did want terrible laws, they should get them. It makes no assumptions at all about which laws people would support. In contrast to the way you depict the argument, the real argument is based on the assumption that a law should not be passed just because a certain number of people support it. So your objection just doesn’t connect with my reasoning in this post, and my objections are not what you say they are. Have another read through them to see what I mean. The introduction of an upper house itself would certainly be a positive move here. Ok, there is no fire, and yet there is much smoke. Glenn, you present a scenario where under Baldock’s system, Bradford submits a petition calling for smacking to be banned. 1) This would not be a binding referendum, as only referendums held on ammendments or repeals to laws would be binding. 2) Even if Bradford could collect the aprox 400,000 signatures necessary, the referendum would be taken showing an approximately 12% yes vote. While I currently do not support the petition, believing that not only will insufficient signatures be gathered, but that it is the wrong way to attempt to solve the problem and highly likely to be ignored by Parliament (at the 2011 election), I am not completely opposed to the concept. What we’re looking at is the provision of an extremely time-consuming avenue for people or groups to overturn a specific ammendment to a law, or repeal of a law (recent I presume!). This would rule out all of Paul’s examples. It’s a bad thing that a CIR should ever take place. What it means is the Parliamentary system is not working. Whether we like it or not, we’re living in a democracy – tyranny of the majority, and so if there is sufficient public outcry to actions taken by Parliament, then the people should perhaps be given the opportunity to veto this action – a serious step to take. An upper house would be a far superiour solution however. Therefore it would be binding, as it would involve a referendum on an ammendment. And I said “imagine” that she managed to dupe people into supporting it. So the actual 12% reflected int he recent referendum is not relevant. What Baldock is saying is that if the numbers had turned out differently, then they should have been enshrined in law. I have given reasons for denying this. No, but Larry’s petition is asking about referendums taken on amendments or repeals, not referendums for amendments or repeals. There’s a crucial difference between the two. Andy, that is what I am talking about. “Now let’s imagine that Sue Bradford had managed to dupe enough people into supporting an ammendment banning smacking that a referendum was held and the majority of New Zealanders supported her law change (she wishes!). ” This refers to an ammendment that (in this hypothetical case) exists. She has duped people into supporting an actual ammendment. Therefore the objections in my post do apply and the cases are the same. Right… I think the final draft of the question is quite different from the question I’d seen previously. Just checked – you’re right, such a provision would allow for amendments or repeal on any law. Yeah, the current version of the question is awful, could never contemplate supporting that.